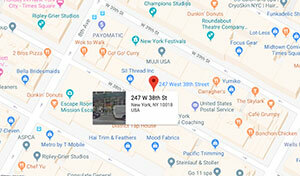 In need of a quick LG Phone repair NYC? Look no further than LaptopMD. We have been a respected service in the New York metropolitan area for over 15 years. Visit us at any time you like. There are no long lines or appointments here. We know your phone is your portal to the world, which is why we can handle your LG phone repair in New York City as fast as possible. We are able to repair cracked frames quickly and ensure you won’t have to replace your phone. We will close up your phone to prevent water and dirt damage, and give you back a phone that looks like new. When you lose the data on your phone, it is not gone forever. Bring it in, and we will use industry leading software to recover it with you. Police departments, government agencies come to us for help recovering data other services said was lost. LaptopMD is a staple of the New York technology community. We have been in business since 1999, reverently covered in outlets such as Wall Street Journal, CNN, CBS, and Inc. magazine.